Deer Park ~ Tavistock, Devon. 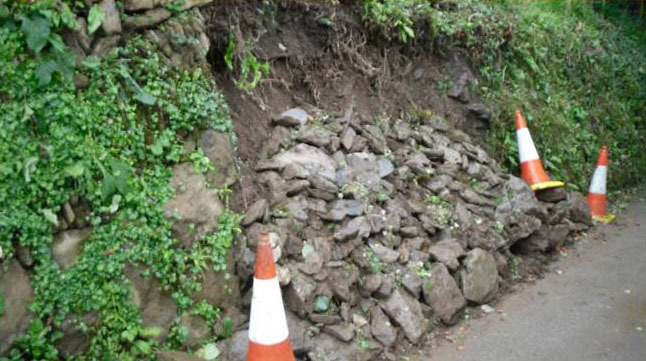 Part of this dry stone retaining wall collapsed into a narrow lane blocking off access to the properties further up the lane. It is thought the wall was originally built for the Bedford Estate. 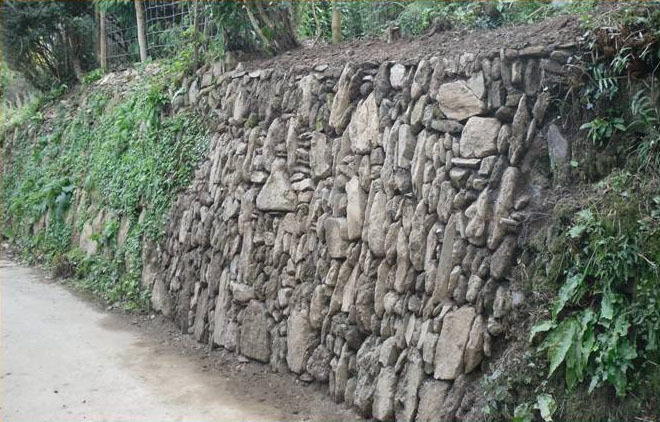 We were asked to re-build the wall which retained a two metre high earth bank and formed the boundary of the gardens to the property behind it. It collapsed during a period of very heavy rainfall. 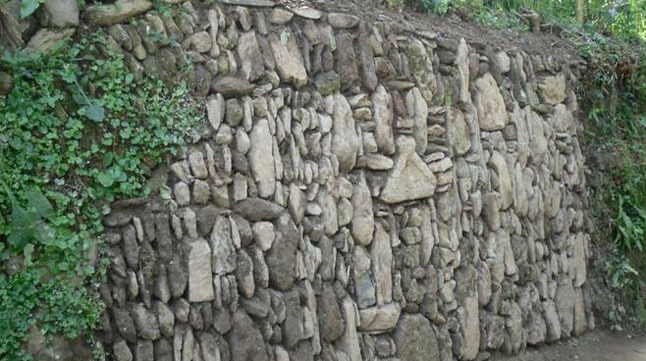 The stones for this wall are mostly laid vertically as opposed to horizontally, which is the traditional way of constructing these types of wall. It is built on a batter which means to say it leans back into the bank. 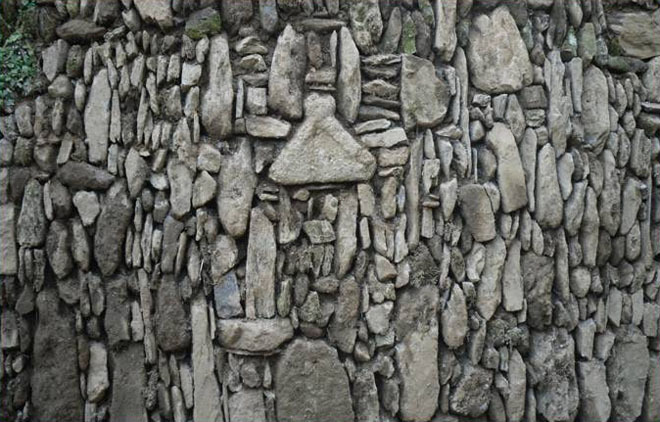 Any downward pressure and movement occurring amongst the stonework only means the stones get wedged in tighter together, similar in principle to an arch. 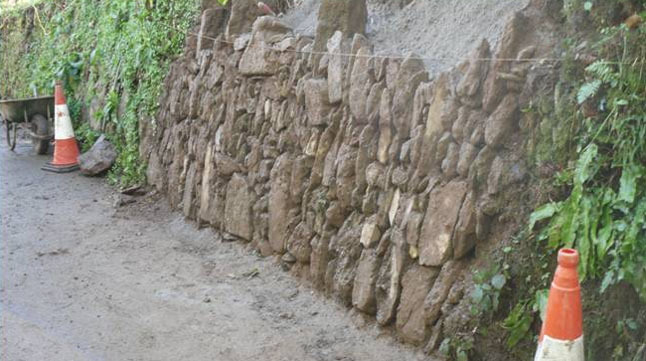 Although built as a dry stone wall, a lean mix concrete was added behind to give it extra strength. The ‘triangular’ shaped stone you see in the centre of the wall is a stone which once formed the apex to a granite coping on a gable end, and most probably came from a building once owned by the Duke of Bedford and probably dates as far back as the 17th century. The Duke made a fortune from copper mining and many buildings in the area are attributed to him. 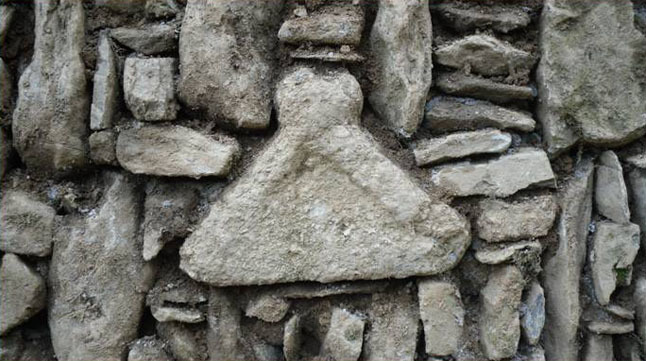 It was found in amongst the stone after the wall had collapsed and was set back into the wall as a feature.